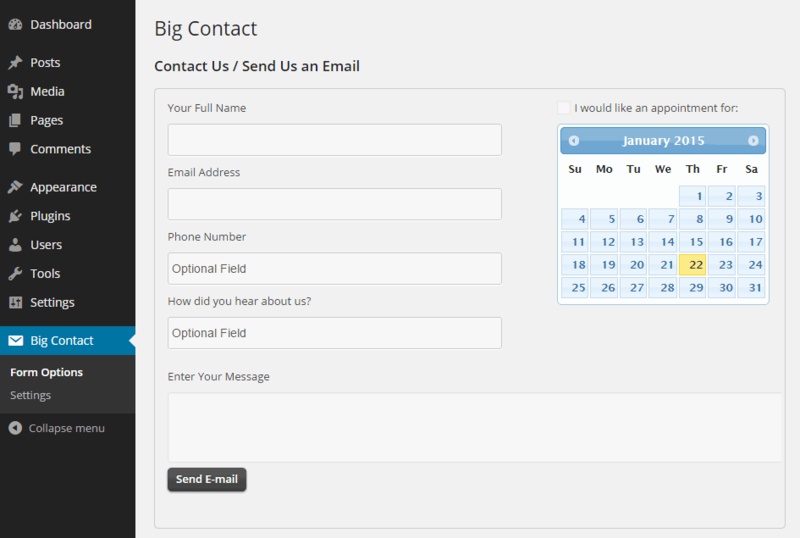 Big Contact is a free plugin that lets you enhance the contact page of your WordPress website. By using this plugin you can easily add a range of useful information to any post or page on your site. This information can include a contact form, opening hours, telephone numbers, an appointment booking calendar, and a Google Map highlighting the location of your place of business. 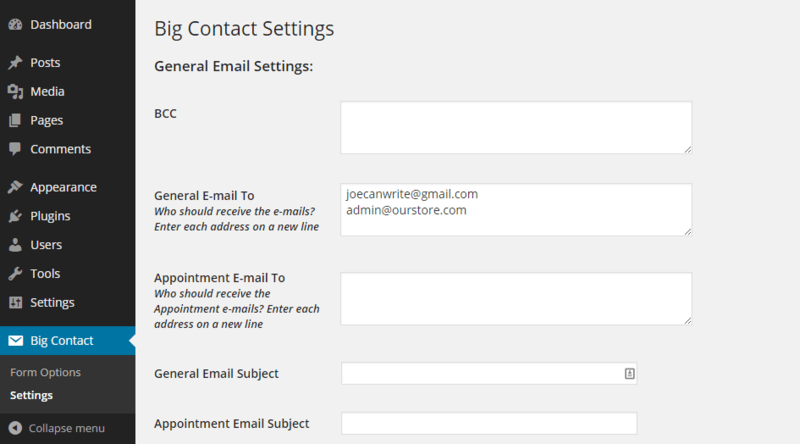 While a basic contact form might suffice, if you want to give your visitors enough information to not only contact you via their favorite mode of communication, but also easily see where you are based, Big Contact could be one plugin you should definitely take a closer look at. From the Add Plugins screen, enter âBigcontact’ in the search field and then install the first item listed in the results. 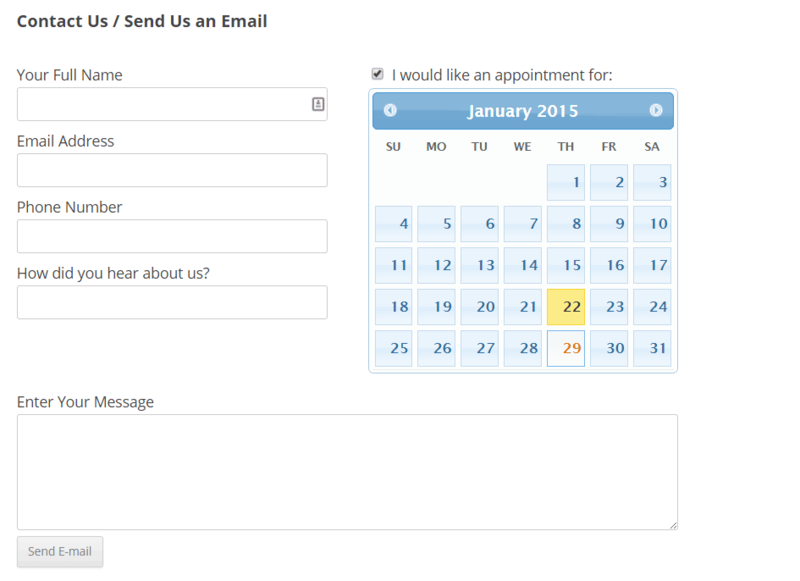 Once the plugin has been installed, you can begin configuring your new upgraded contact page to meet your needs. Big Contact makes use of two admin pages. These pages allow you to build your form by entering the details you wish to publish, as well as entering the settings for the form. It’s a good idea to head over to the settings page first and enter your details, such as the email address to deliver the messages to and other configuration details. Once you’ve entered the basic details for your form, you can move onto the Form Options page and start populating the form with the details about your business, including opening hours, a Google Map to share your location, and other contact information. Once you’ve finished adding your details to the form to personalize it, you can move onto publishing the form on your website. The different form elements, such as the form itself, the appointment booker, the phone numbers, and the map, can be inserted into your contact page on an individual basis as needed. Doing so is just a case of creating a new post or page, or opening an existing one for editing, and then using the plugin’s options panel to insert the elements. This then adds a shortcode to your post, which when previewed, displays the new and improved contact information. If your details ever change in the future, simply go back to the Big Contact Form Options page and make the necessary edits, and all your published contact pages and information will be updated. While the free Visual Form Builder plugin is ideal for creating simple to advanced contact and other forms for your WordPress website, if you want to add more useful information to your contact pages, such as Google Maps, opening hours, and the ability to accept appointment bookings, Big Contact is well worth checking out. If you have any questions about this plugin, please leave a comment below.